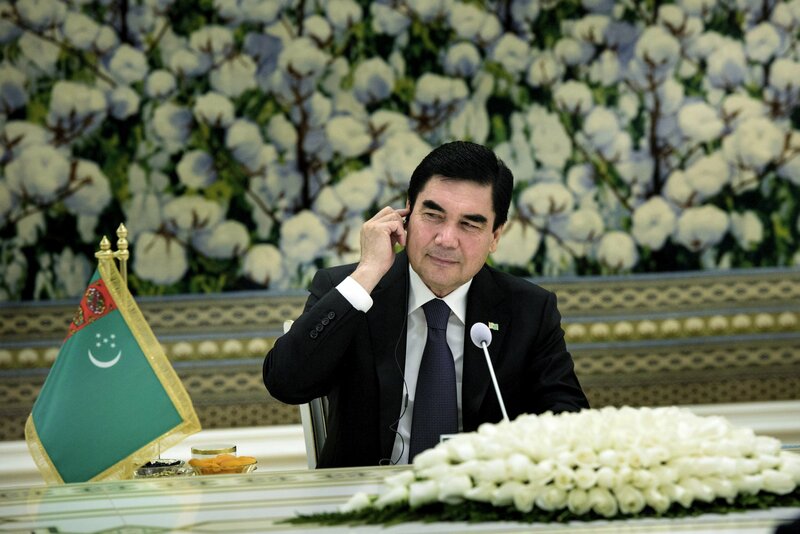 Turkmenistan’s President Gurbanguly Berdymukhammedov once ran a dental clinic. Today he is teaching his country’s security forces how to shoot and throw knives, kitted out in full camouflage fatigues with them—along with a little inspiration from Arnold Schwarzenegger. The leader who built a golden statue to himself in his capital and whose literary career spans 35 books which have been unveiled with honors reserved only for holy texts in other Muslim countries, can add marksmanship and combat to his mounting list of talents. Berdymukhammedov led the military recruit training outside the city of Ashgabat, according to a montage of the proceedings from state television posted online this week. The montage, published by the country’s independent Chronicles of Turkmenistan think tank, is scored to the soundtrack of the Arnold Schwarzenegger film Commando. As the leader drives to meet his trainees with all sirens blazing on his car, Schwarzenegger makes an appearance himself—or rather his bulging arms do, as the camera pans to show the ex-bodybuilder donning military gear. It is unclear if the cutaway was included in the original broadcast. Berdymukhammedov then emerges from his car, sporting a similar vest ready to shoot pistols, machine guns and hurl knives at targets. 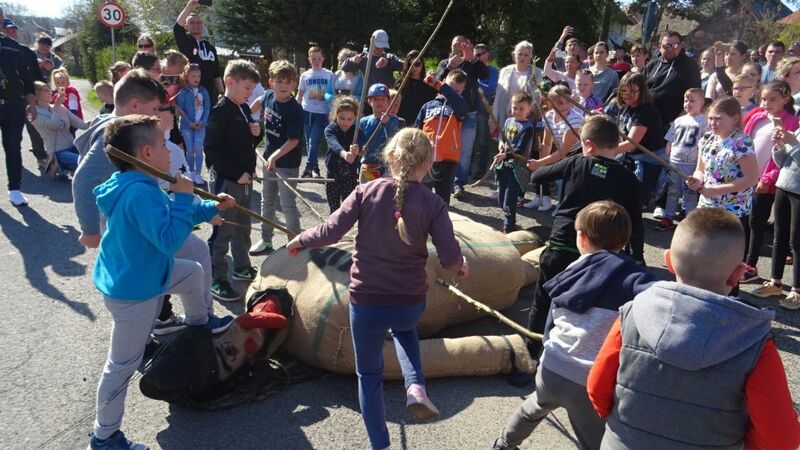 The montage shows him hit the mark flawlessly before he then autographs some of the targets for his applauding troops. 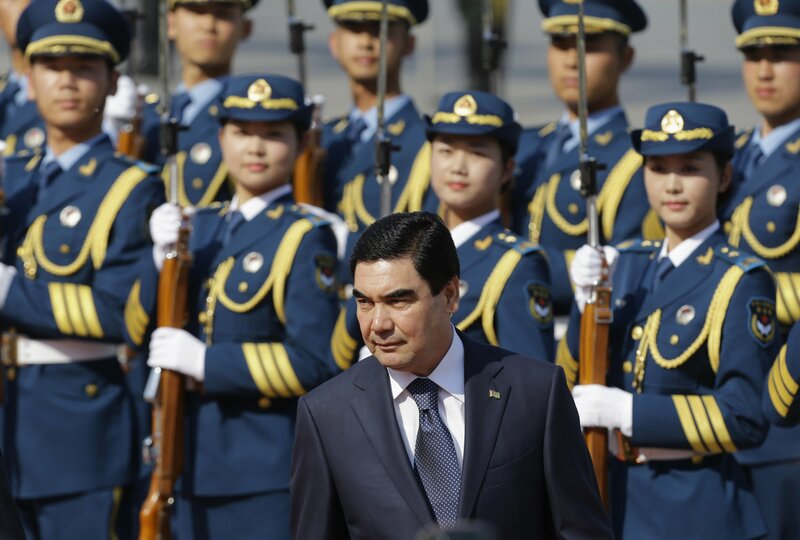 It has been a busy summer for the Turkmen president who also recently released a dance anthem with three of his young grandsons. The video of the song, entitled Yadimda, which means “I remember,” was supposedly written by Berdymukhammedov and his grandchildren, one of whom plays the piano. Berdymukhammedov sings over a keyboard, though it is unclear if he is playing. 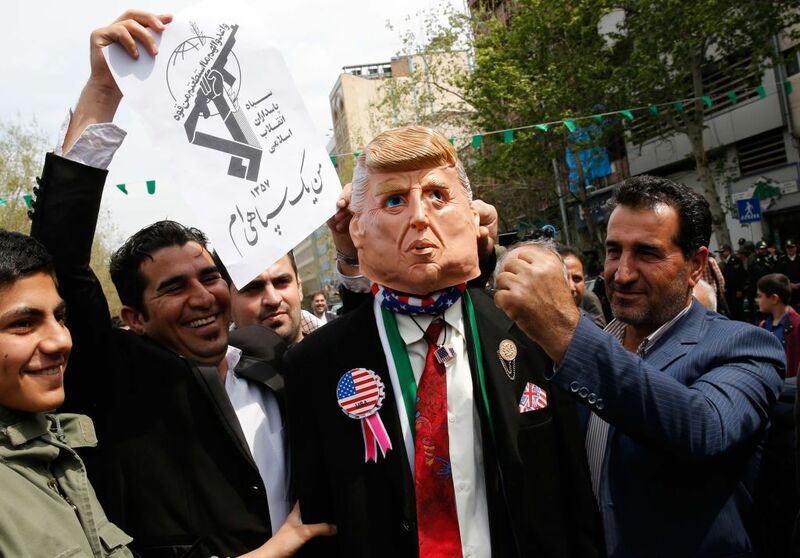 The leader presides over a budding cult of personality and according to leaked U.S. diplomatic cables once had a motorist "beaten black and blue" for cutting off his motorcade and sentenced the man to 25 years in jail for attempted assassination. 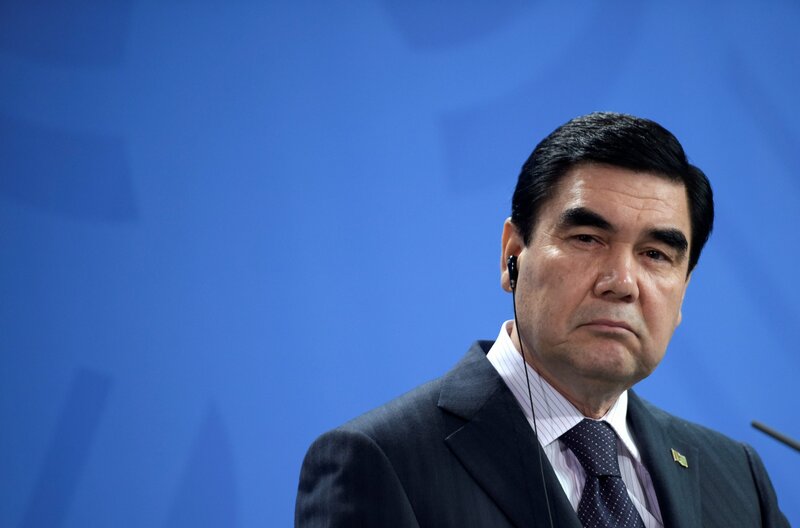 Turkmenistan is currently in the grips of the worst economic crisis in its 25-year history, according to Radio Free Europe, largely due to its economy’s dependency on its main export—gas. 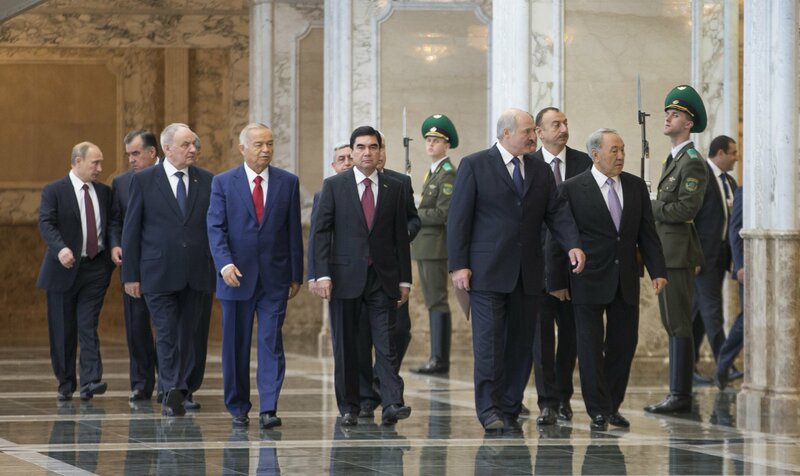 Who Are the Strongmen Leaders of Central Asia?